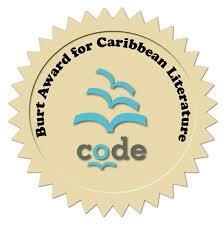 The inaugural Burt Award for Caribbean Literature is now open for submissions. The competition is targeting English-language literary works by authors in the 12- to 18-year range. The winner will receive CAD$10,000, while the second prize is $7,000 and a third of $5,000. Publishers are guaranteed purchases of up to 3,000 copies. Books published between August 1, 2011 and August 22, 2013 and eligible manuscripts must be submitted by August 23. The award, established by CODE with the support of William (Bill) Burt and the Literary Prizes Foundation, and in partnership with the Bocas Lit Fest, aims to celebrate the literary achievements of Caribbean authors while improving young readers’ access to books that are engaging and meaningful to them. Winners will be announced at the NGC Bocas Lit Fest in April 2014.